Southside is a fast-growing city in Alabama. 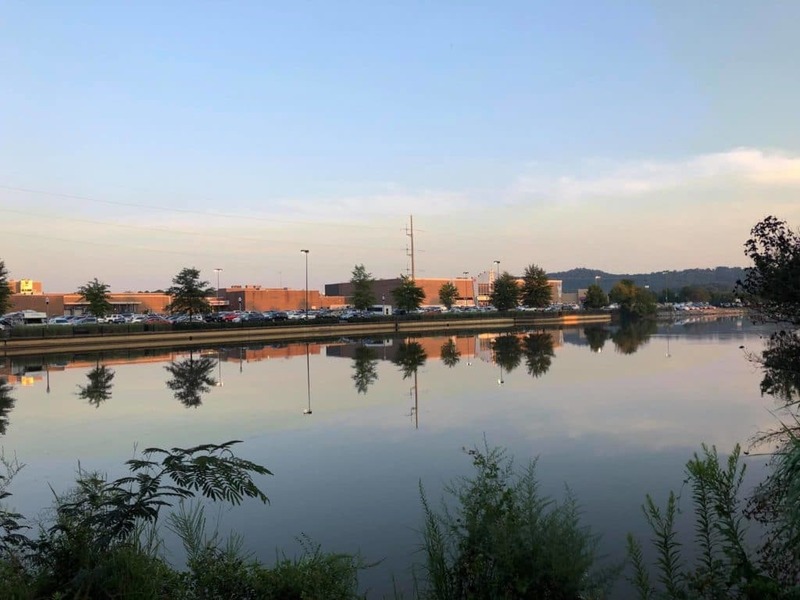 Nestled on the banks of the Coosa River, this friendly city offers southern hospitality and scenic neighbourhoods. Settlers discovered this region in the mid-1800s – it was a rural community which relied on farming as its main source of income. Locals during these times also referred to the area as “Smokeneck” as early settlers would burn old tree stumps, and streams of black smoke would filter into the sky above the settlement. It was also one of the first cities to introduce telephones into the community, leaving its mark as a forward-thinking community of Alabama. The Southside you see today is thriving with lakeside recreational spaces, wildlife parks, forests and golf courses on your doorstep. It’s location an hour northeast of Birmingham, makes it a perfect place to base yourself while exploring the state. 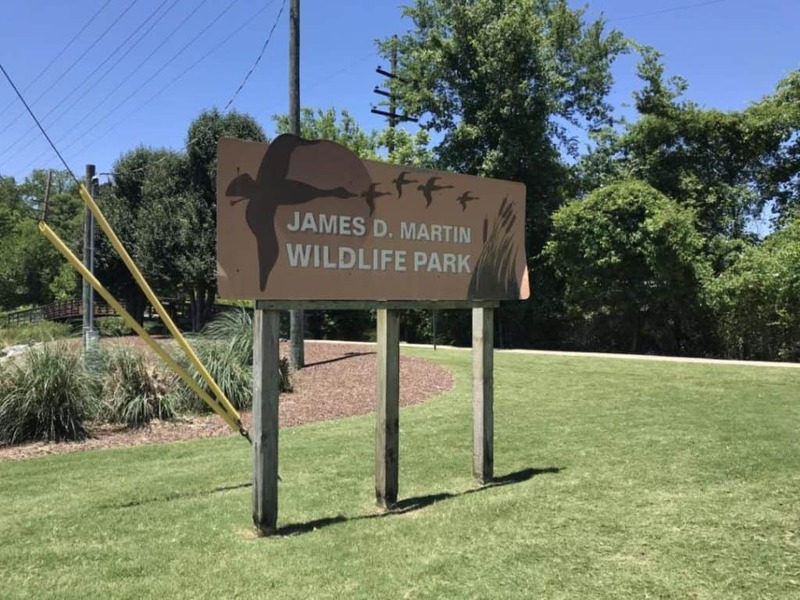 James D. Martin Wildlife Park in nearby Gadsden is a haven for wildlife and bird watchers. Whether you wish to spot rare species from the shoreline or want to walk the boardwalk over the 300-acre lake you can do both! For avid bird watchers, bald eagles and ospreys are regular visitors during winter months, and during spring and summer, you can see great blue herons along the shoreline, so don’t forget your binoculars and camera! There are several walking trails around the lake too, offering scenic views, and plenty of places to sit and enjoy a lunchtime picnic. If you are touring Alabama with younger children, head straight for Imagination Place in nearby Gadsden. The fun interactive centre was especially designed for children ranging from 2-10 years of age, with sunken pirate shops, farms and the Imagination Express train. There is also a permanent exhibit which goes by the name of KidsTown USA, where everything is geared up for the little ones. They can visit the medical centre, grocery store and even wander into Grandma’s house! If you have a cloudy day during your stay, or wish to spark the little ones’ imaginations, this is the place to be. Alabama has some of America’s finest golf courses, and this par-72, 18-hole course near Southside is no exception. The 6,800-yard course will challenge golfers of all skill levels with immaculate fairways, bunkers and a riverside location. The course is abundant with wildlife and has a natural beauty which will captivate you as you navigate your way around the course. 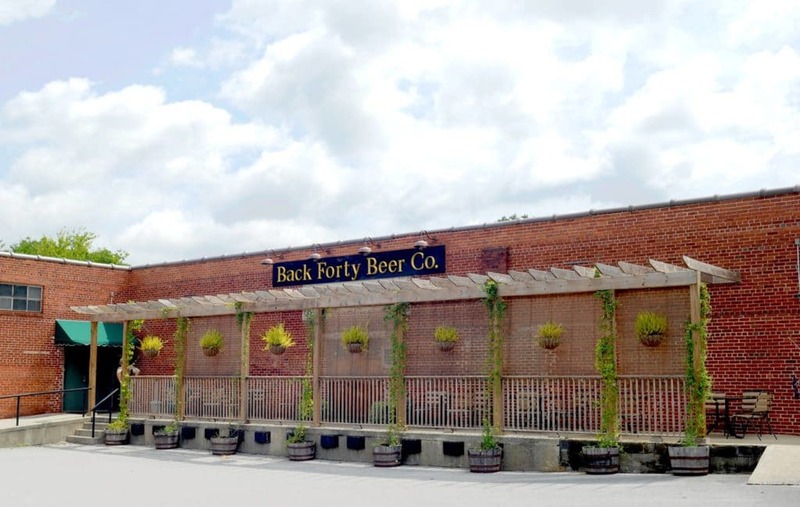 If you fancy trying some Truck Stop Honey or Naked Pig Pale Ale, then pay a visit to Back Forty Beer Company in Gadsden. Set inside a red-brick 1940s warehouse it’s a place to sample craft beers and delicious farm-to-table cuisine. If you have been out sightseeing all day in this region of Alabama, it’s an ideal place to kick back, relax, mingle with locals and enjoy generous plates of food and locally-produced ales. Inside Noccalula Falls Park are the beautiful, cascading Noccalula Falls. Foaming streams of water gush over a cliffside plummeting 90 feet into Black Creek gorge below. 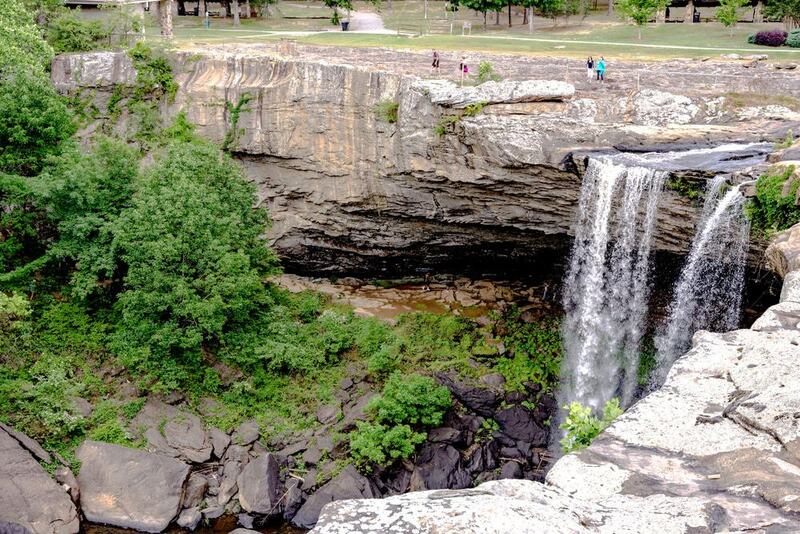 These natural falls allow visitors to walk across a bridge above them, gaining a panoramic 360-degree view of the park, or venture beneath them. From underneath the rock face, you can feel the spray on your face as you watch the water plunge into the creek. There are superb photo opportunities from both angles, so spend a while and experience both. The lush emerald landscapes of Talladega National Forest are peaceful and scenic, with wild game, hiking trails and campsites scattered throughout. The forest, which was purchased by the federal government back in the 1930s, encompasses 613 square miles of diverse eco-systems. With rare, indigenous plants, cascading waterfalls and wildlife trails, you will be spoilt for choice of where to discover first. 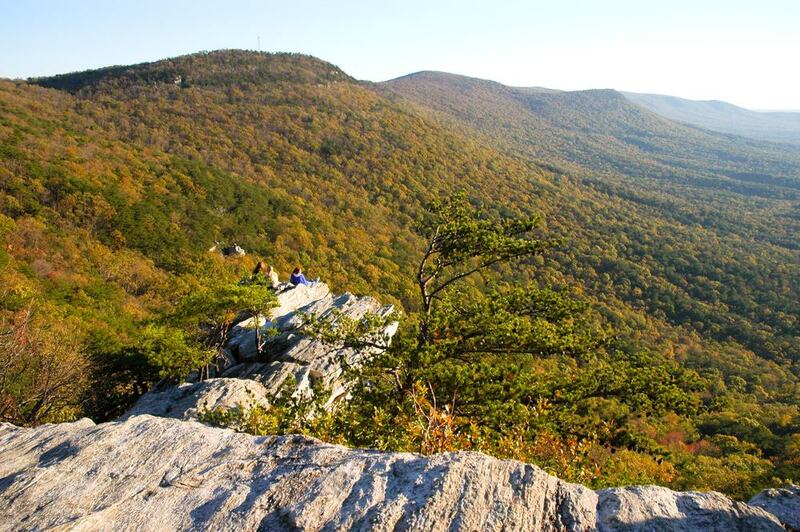 So, pack your walking shoes, camera, a picnic and your tent and camping stove and get ready to explore some of the finest scenery in the southern states. 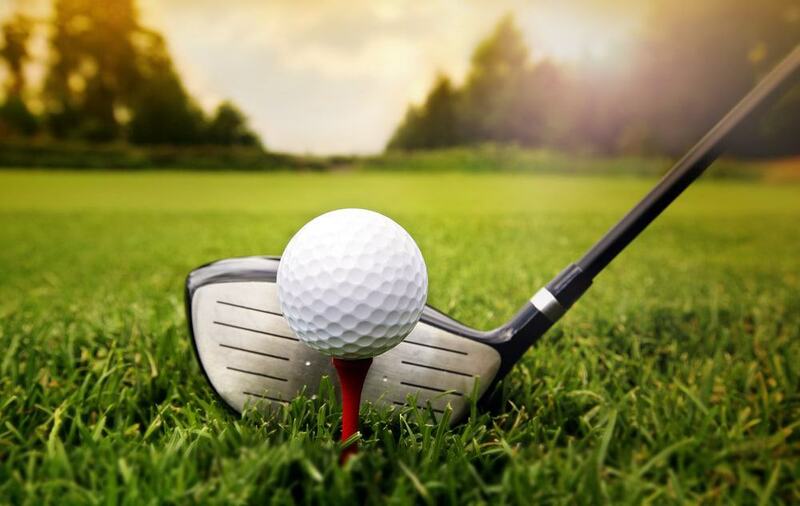 Silver Lakes Golf Course is part of the Robert Trent Jones Golf Trail, and with 36 holes featuring wetlands, forests and grassy banks, you will be entertained for hours. You can choose to play one or all 4 courses – named the Heartbreaker, Mindbreaker, Backbreaker and The Short. Each course is unique and appeals to different skill levels. The Backbreaker features wide fairways and offers stunning vistas of the foothills. The Heartbreaker, in comparison, focuses on dramatic elevation changes and lakeside views, and the Mindbreaker has holes within shorter distances nestled between woodlands and wetlands. 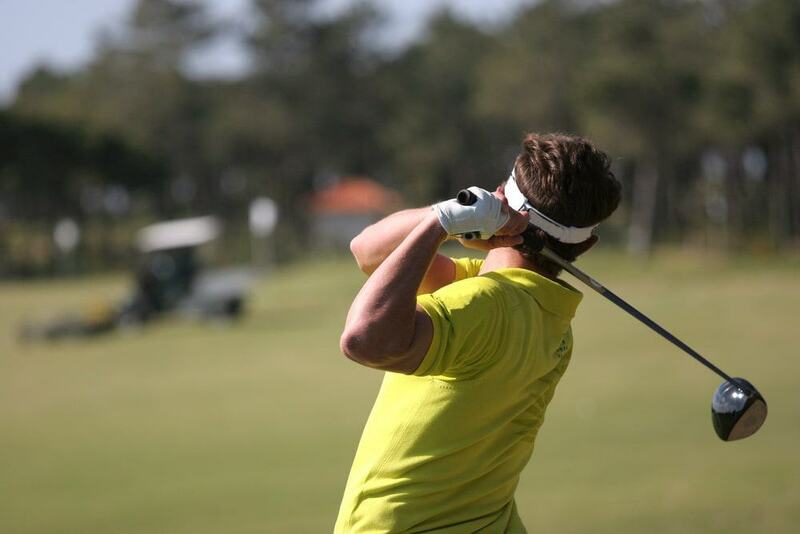 Whichever course you decide to play, you will leave a better golfer for the experience! Little Bridge Marina is located just over a mile from Southside on the shores of Coosa River. It’s a great place to come to if you’re self-catering, as you can pick up some essential food items and homemade preserves for your accommodation, or if planning a boat or road trip. There are two dining options at the marina too. 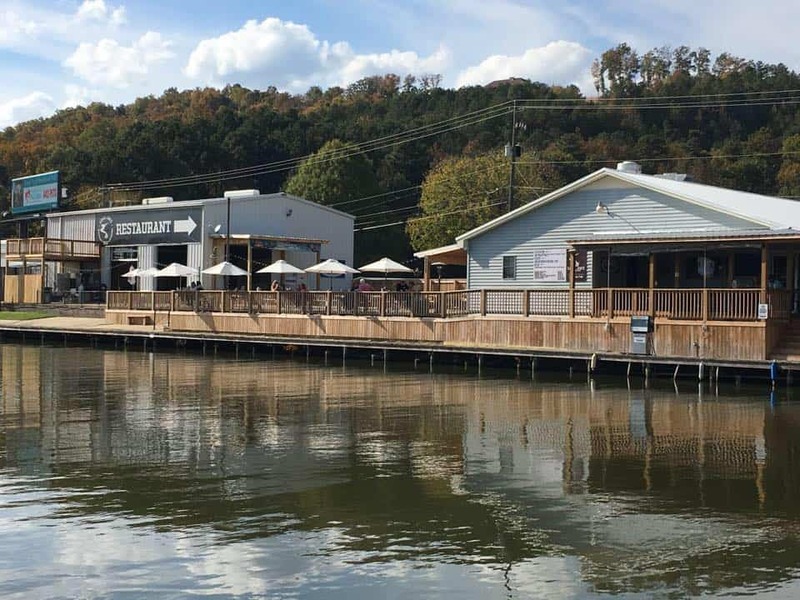 You can enjoy the dishes at Little Bridge Bar & Grill or succulent bar-b-que meat treats at Little Bridge BBQ overlooking the river as the sun sets. Talladega Superspeedway was the brainchild of William France Sr, whose dream was to construct a track longer and faster than the one in Daytona, Florida. 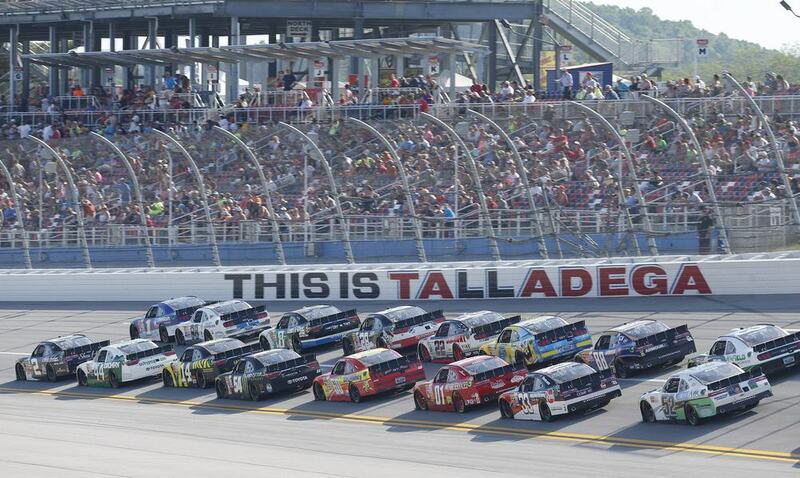 He found a perfect location, on an old airfield outside Lincoln, Alabama, and Talladega Superspeedway was born. Today, this circuit is known as the home of NASCAR, and each year, the track hosts the NASCAR Xfinity Series, Monster Energy NASCAR Cup Series and more. This vast circuit can hold a capacity of around 170,000 spectators at one time, so you are guaranteed to meet like-minded race enthusiasts whether you come for a day event or stay overnight in the nearby campsites. If you wish to travel for a specific event, remember to confirm dates and book tickets in advance to avoid disappointment. If your idea of a great day out is browsing vintage stalls, outdoor markets and antiques, you need to visit the World’s Longest Yards Sale. This vast annual event spans 6 states and begins around 20 minute’s north of Southside, just outside Gadsden. 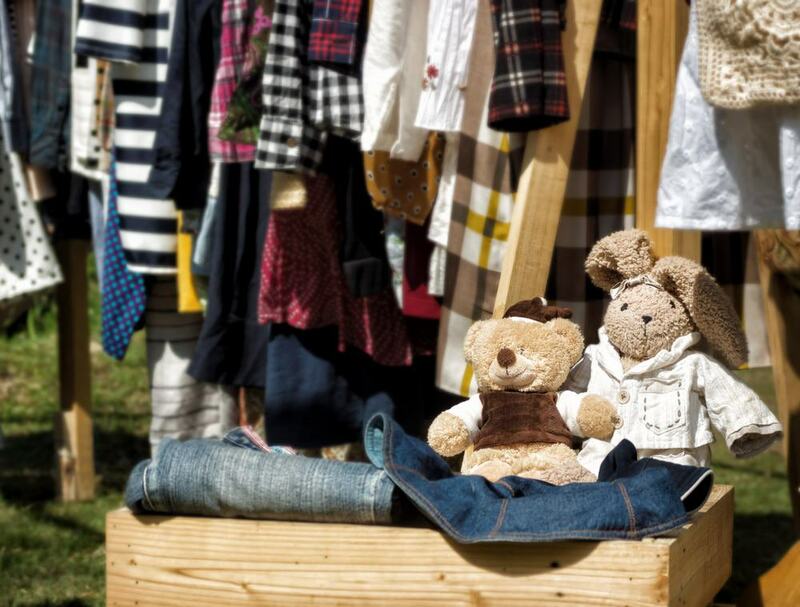 There are over 5,000 vendors scattered across the states, so you’ll definitely be coming back with some bargains! The event is held over 4-days each year, so remember to check dates so you don’t miss out on this shopping bonanza. If you enjoy sampling local wines during your travels, take a trip 12 miles northeast of Southside to Hokes Bluff and Maraella Winery and Vineyard. The vineyard was established back in 2005 by the Lee Family, and since then it has become a well-known thriving enterprise in the local area. The vineyard has won awards for its Cabernet Sauvignon, Riesling and its Carlos – a dry, sweet white muscadine wine. You can sample some of these, and many more if you pop in for a wine tasting. The family welcomes visitors and you can get to know their fascinating story while you explore the winery. 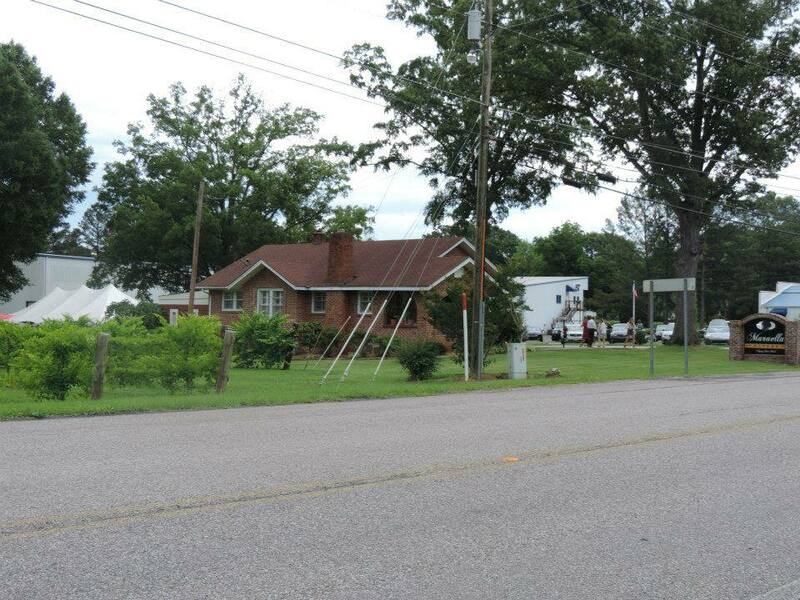 In the centre of Gadsden, around 7 miles north of Southside is bustling Gadsden Mall. The perfect place for some retail therapy, it’s home to clothing shops, jewellers, technology stores and more. You can even stop for a bite to eat there, or pop along the bridge to picturesque James D. Martin Wildlife Park for a picnic and a walk between shopping sprees. Did you know you can learn to dive near Southside? 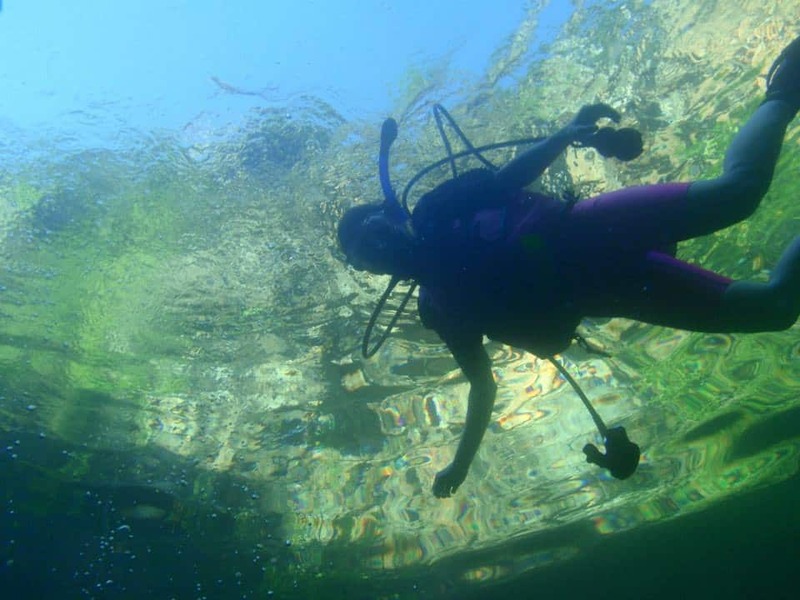 Contrary to popular belief you don’t need the sea to learn how to become a certified diver, you can do it 10 miles from Southside in Glencoe!.Dive Land Park teaches you how to scuba dive in a quarry with depths of up to 150 feet and high visibility so you can see submerged items, fish and vegetation. All the equipment and gear can be rented too, so, if you are a beginner wanting to learn a new skill while on holiday, you can do it here! If you have already been diving and wish to experience something a little different, this may be exactly what you are looking for. 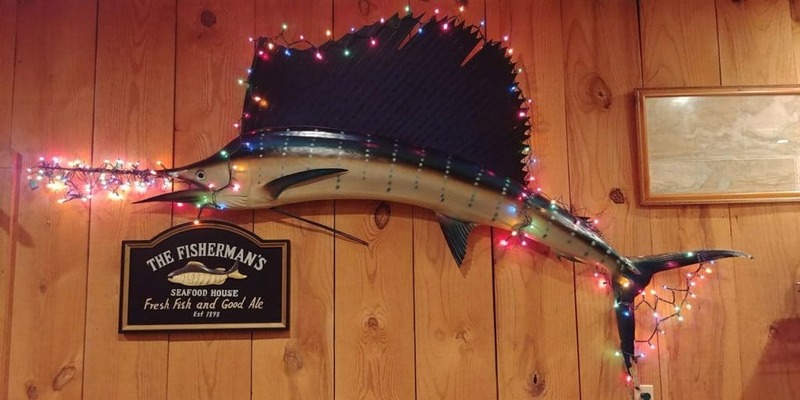 If you’re staying in Southside and seeking a reasonably priced restaurant for lunch or dinner, try The Fisherman Restaurant. Its seafood is well-known throughout the city and you can try dishes such as the Catfish Fillet, Rainforest Tilapia, Large Shrimp or the Mahi Mahi. All of these dishes come grilled, broiled or blackened and you can even opt for a cheeky bourbon glaze on the side if the mood takes you. There are also meat dishes for those who don’t eat fish, and a children’s menu for the little ones. If you are vegetarian, the options are there, but limited to starters and salads. If you wish to add vast amounts of culture to your Alabama visit, you can take a trip to Birmingham, an hour southwest of Southside by car. This thriving, former industrial city is home to the Birmingham Civil Rights Institute, McWane Science Centre, Birmingham Zoo, Botanical Gardens and Art Museums. There are walks and historic landmarks where you can learn about the city’s industrial heritage, and Civil Rights Trails which tell stories of life-changing events which took place in the city. 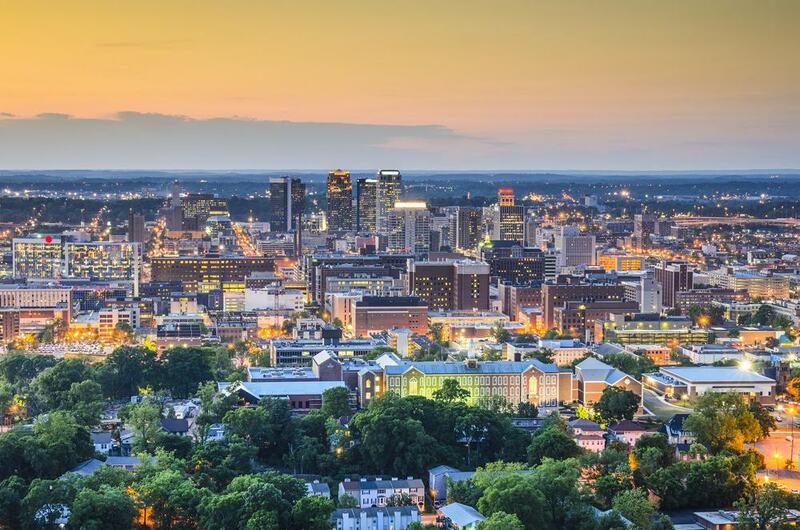 It’s a fascinating place to visit, and there are attractions to suit all ages, so if you have a day or two free during your holiday, spend them in Birmingham, Alabama.